Wolf Run Slots allows players to truly enjoy the thrill of running with the pack! The unique payout line scheme and incredible payouts make it a very intriguing game. Wolf Run Slots contains some standard symbols, card values including K, Q, J and so forth but also contains some truly beautiful graphics. Some of the symbols are images of wolves, all of them very easy to distinguish from other wolf symbols. There is also a howling wolf graphic that has an animation feature. This game can net very impressive payouts for players. The graphics make it as fun to play as do the payouts, as well. Click here if your a US player and need information about Wolf Run slots online. 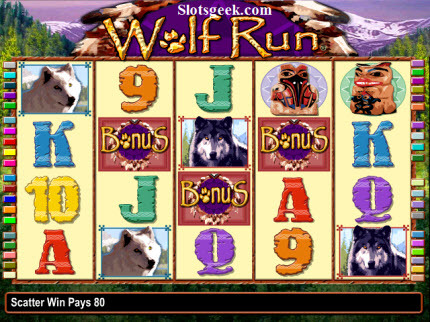 Wolf Run Slots does not come with a true autoplay feature in that the player must manually set the reels into motion. There are some other features, however, that make game play more convenient. 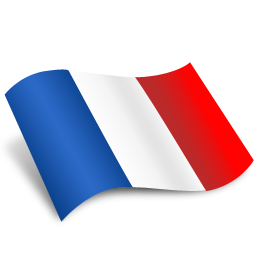 A player may increase their bet in increments of one credit by pressing a button. The maximum bet may be placed in the same way. Cashing out can be done with one button, as well. There is an incredible 40 lines on Wolf Run Slots and 5 reels which they traverse on the screen. While this may seem a bit complex, the betting interface makes it very easy to understand how to place one's wagers. The interface will light up the lines as they are selected, making the winning positions easy to determine for the player. The lines must be bet upon sequentially. There is a maximum 5 credit bet on any given line though players may bet on as many or as few of the lines as they desire. Bet amounts are distributed evenly across the total number of lines upon which the wager is placed. Wolf Run Slots has numerous ways to win aside from the many lines. There is a stacked and chained wild symbol feature on this game. The wild symbol is a wolf howling at the moon in the classic profile pose. When this wolf appears stacked one on top of another there is an additional prize given. These stacked wild symbols can occupy four full stacks of reels which gives some idea of how large the payouts can become if one is truly lucky! Combined with the potential of having a winning combination on the line, anyway, from the stop position of the wheels themselves, there is a huge potential jackpot to be one; many thousands of coins. Wolf Run Slots was designed with simple game play, beautiful graphics and consistent wins with the potential of very large wins being paid out at intervals. The sound effects and graphics are enough to keep anyone at the machine but the possibility of hitting a chain win with all 40 lines at the maximum bet certainly provides more than enough enticement for anyone to prowl around a bit longer! Wagerworks is the only online slot machine develope who has full rights to offer the IGT slots online including IGT's Wolf Run slot machine. Unfortunately no! Wolf Run Slots was developed by IGT and is licensed to Wagerworks, which is the only casino software developer able to distribute this game legally online. Wagerworks casinos are not open to the US market which means USA players can’t play Wolf Run slots online. Are There Any Slot Games Similar to Wolf Run Slots for USA Players? There are a few. Real Time Gaming would be our first pick if you’re looking for a slot machine similar to Wolf Run slots. Their slot machine Rain Dance has a similar theme to it, although the bonus round in this game is free spins, where as the Wolf Run game is a bit more entertaining. You can check out this game for free here. Dont worry there's no software to download. Its a free slot available on Slotsgeek. You won’t find an exact knock off to Wolf Run slots because Wagerworks and IGT are the only two companies with rights to market this game.